We’re living in a fantastic time for liquor. Ten years ago, you would’ve been lucky to find one decent pear eau-de-vie on the shelves of your local liquor store. Now, if the store’s decent, you’re likely to find three or more pear brandies that are both high-quality and reasonably priced. The same is true of other fruit-based spirits, like peach, cherry, and apricot, but today we’re working with pear. Want to learn more about eaux-de-vie and brandies in general? Check out my Introduction to Brandy. To that end, I tried to think of flavors that would complement the fruit notes in the brandy without overpowering them. This brandy, like all eaux-de-vie, is unsweetened and, at 80 proof, it’s the same ABV as most vodkas and many other base liquors (gin, bourbon, rum, etc). Therefore, in this drink, it needs some sweetness. It could also use some smoothing out. That’s where the dry vermouth and the St. Germain come in. St. Germain, an elderflower liqueur, tends to work well with fruit flavors, and dry vermouth mixes with just about everything under the sun. I added a dash of aromatic bitters from Bittercube that also really complement lighter, fruit-flavored drinks. With lots of chamomile and jasmine, and a touch of cinnamon and dried fruit flavors, they fit the flavor profile of the rest of the drink. If you can’t find these, something like lavender or celery bitters would be a good match, or just go with orange bitters in a pinch. The result is pretty excellent! The pear flavor certainly stands out; in fact, it may still be a bit strong. For those who like a subtler drink, consider swapping out half an ounce of the pear brandy for half an ounce of vodka. Otherwise, this one’s a keeper! Combine all ingredients in a pint glass over ice and stir thoroughly. Strain into a chilled cocktail coupe. Garnish with a lemon twist. HUGE! Enter to Win a Trip to the Craftsman MAKEcation in Brooklyn! 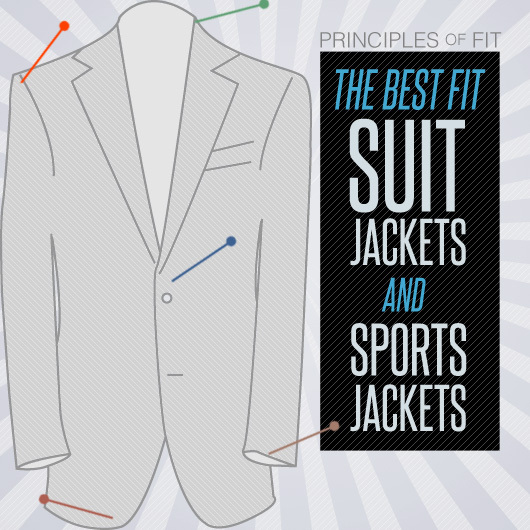 Fact: Most men don't wear a proper fitting suit jacket. Too big here, too small there. We'll help you get it right.